I had booked to go on a pelagic out of Swansea on 24 July 2014, so Rog and I decided to drive up from Melbourne and do some birding on the way. The trip was cold and wintery and often dangerously foggy. Bird highlights en route were a male Musk Duck at Wonga Wetlands in Albury and Superb Parrots at Cowra. And I was delighted to see Scaly-breasted Lorikeets in the main street of Swansea when we arrived. Swansea is just south of Newcastle and pelagics used to go from here quite regularly. Today they go sporadically, when someone feels like organizing one. I was pleased for the opportunity of a winter trip, hoping for a Slender-billed Prion. The boat was comfortable. There were 18 participants and we each had a seat. The weather was kind; much warmer than I'd expected. Seas were not rough. The idea was to take three hours to cruise to the shelf; spend three hours burleying there, then another three to get home. We left at 7 a.m. and planned to be back at 4. It went pretty much to plan, although we were slightly late back. It was a legal requirement that we don life jackets to cross the bar. It was a pleasant day. We were pleased to see three (perhaps four) adult Wandering Albatrosses, both Antipodean and Gibson's, and one young clown. 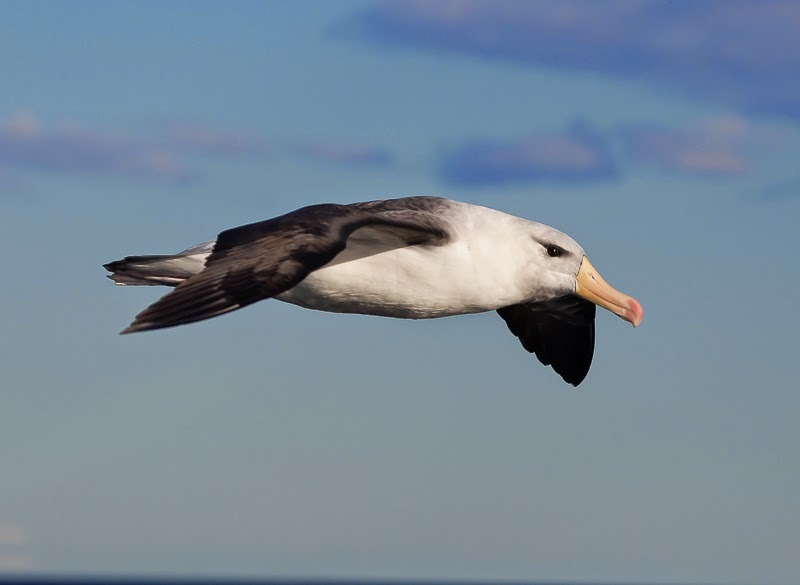 Other albatrosses were Indian Yellow-nosed, Black-browed, Shy and Buller's. There were a few Brown Skuas and a few Providence Petrels (that my northern birding mates insist on calling Solander's Petrels). 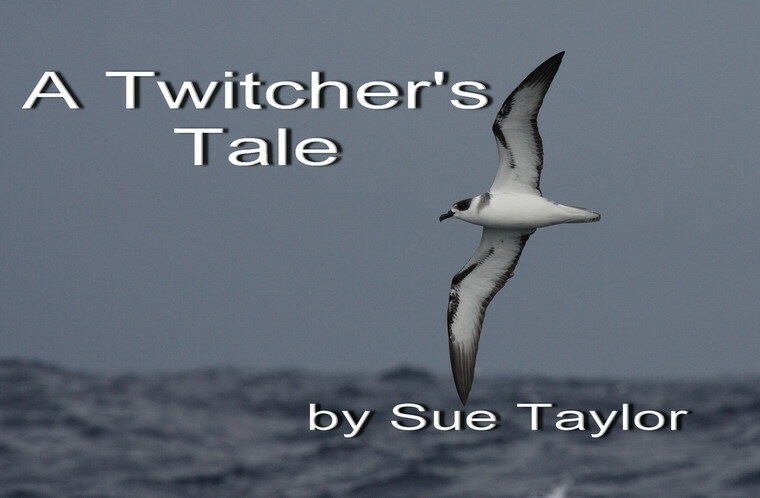 Just one Cape Petrel visited us and at least one Great-winged Petrel. There were some Fluttering Shearwaters and one White-fronted Tern amongst the Crested. Add Australasian Gannet and that's about the total birdlist for the day. Apart from the prions, sadly, they were all fairies. I did my best to turn some paler looking birds into something more interesting, but the experts on board were having none of it. It's always a matter of luck. When you drive 2,500 kilometres, you expect that you've earned something good. It was not to be. I cling to the perverted logic that every pelagic I do without seeing a lifer, makes a lifer more likely next time. Birding highlights on the way home were a Speckled Warbler at Migurra Walk near Cootamundra, a Red-capped Robin on the road to Bethungra dam (we had lots of Scarlet, Flame and Eastern Yellow) and Black-chinned Honeyeaters at Chiltern Park roadside stop. The flowers were worth looking at when the birds were not performing. Cootamundra and picnantha wattles were flowering. There were dwarf greenhoods, early nancies and sundews at The Rock, and a happy yellow goodenia at Chiltern Park. Winter is not the best season for birding, although my total list of 107 species seems pretty pathetic to me, even given the conditions. 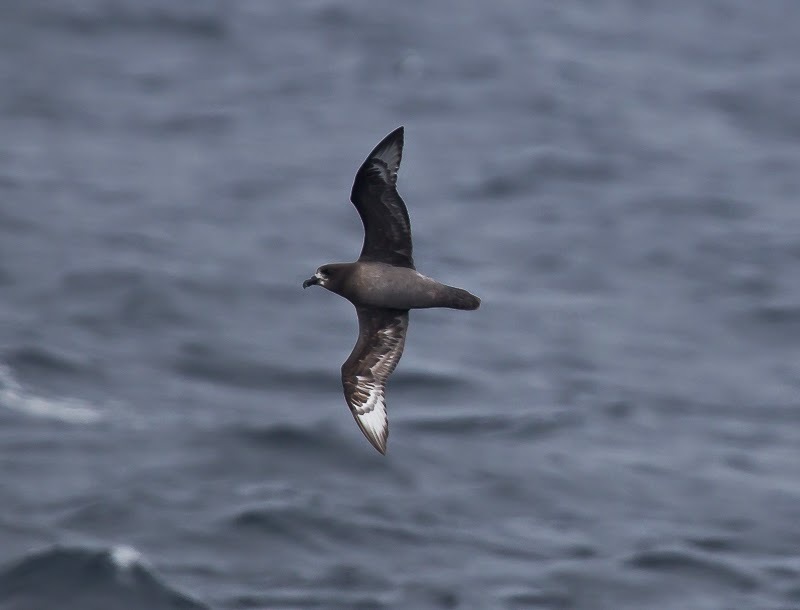 I am consoling myself that my next lifer is one pelagic closer. Last Saturday morning saw me sitting by the phone waiting for a call to tell me that the pelagic proposed to go out from Port Fairy on Sunday 13 July was really going to go. Four times already this year I have booked to go on a pelagic but bad weather has stymied me. I desperately wanted to go out in winter, as I need to see a Slender-billed Prion for my lifelist. At last the call came. The boat was going to go. I was delighted. The weather was cold and grey with intermittent rain as we drove from Melbourne to Port Fairy. We made the obligatory stop at Point Addis to look for Rufous Bristlebirds, but had no luck. One friendly Flame Robin entertained us as we ate lunch near Colac; otherwise it was an uneventful trip. Sunday morning saw me at the wharf, eager to get going, happy to recognise a couple of my fellow passengers. Perceive is one of my favourite pelagic boats. At $180, it is more expensive than some, but it is also more comfortable. And we are given a very welcome hot cuppa with some delightful home-made slice from Neil's partner, Alison. Thank you, Alison! We set off on time, around 7 a.m., a happy, expectant boatful of birders. At around 9 a.m., we stopped. Apparently the captain could tell something was wrong. We were all blissfully ignorant. Paul, the deckhand, climbed onto the roof and saw that the life raft had come loose. For a dreadful moment I feared we were going to turn back to port. But no, Paul managed to tie the thing down safely and we were off again. There were not a lot of birds as we motored towards the shelf. I sat next to a Dutchman who had just arrived in Australia on 1 July. His Australian life total was 90, which I thought was pretty good in a strange country in winter by himself. He was eager to see some albatrosses. A White-fronted Tern flew past, giving us all good looks. A tick for several passengers, including the Dutchman. Every now and then, we were engulfed with cold water. Paul threatened to lower the plastic blinds to keep us dry. We preferred to risk a soaking and see the birds. It turned out to be quite a good day for albatross, so my Dutchman was happy. 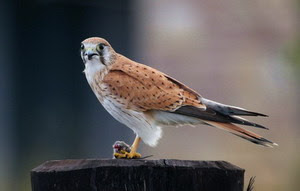 We had five species, mainly Shy, and also lots of Black-browed. There were also just a couple of Yellow-nosed, Buller's and Campbell's. Unfortunately we saw just two prions all day: both Fairies. So my wish was not fulfilled. However, with so many albatrosses, it would be churlish to complain. 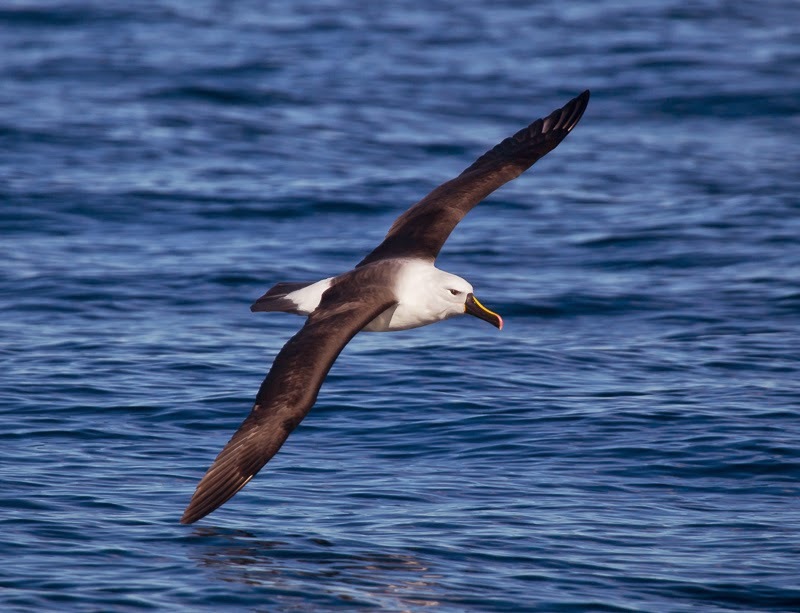 Most of the albatrosses accompanied us back to port. There were up to thirty flying around the boat at any time. Wonderful! We saw little else. There were several Fluttering Shearwaters and I think just one Hutton's. There were a few giant-petrels (about three I think) but only one was identified as a Northern. That was about it. A great day for albatross, but sadly no great albatross. We drove back to Melbourne on Monday. The weather was again grey and unfriendly. I dipped on Hooded Plovers at Killarney (although I know they were present at Port Fairy because the Dutchman had photographed them on Saturday). I also dipped on Black-faced Cormorants, which usually greet me on the Moyne. Had a trip total of 70 birds. The next day we set off for Rutherglen, wanting to get in a quick trip before my next pelagic commitment at Swansea on 24 July. The weather was still as you'd expect in mid-winter: grey, wet and cold. A pair of Scarlet Robins were very active at the Grasstree roadside stop. Wednesday was foggy. Vision was poor. Nevertheless we saw shovellers at the ephemeral swamp near the Rutherglen tip. I feared I wouldn't see much else and adjusted my expectations. Rog drove me to Chiltern No 2 dam. The gate was locked, but Rog parked and sat happily reading his newspaper. I walked through wet grass to the birdhide. It's one of those horrible noisy hides, with a door that bangs loudly and windows that cannot be opened without frightening metallic crashes. I couldn't see much on the dam, although there were a couple of Great Crested Grebes in non-breeding plumage and one swan on a nest. I did much better with bush birds. Some sun managed to shine through and I saw a magnificent male Golden Whistler and an almost equally gorgeous female Crested Shriketit. There were Crimson Rosellas, lots of choughs and one noisy Restless Flycatcher. I managed to drag Rog away from his paper and he drove to No 1 dam, where a Black-tailed Native-hen hurried into the reeds. There were also Red-browed Finches (sadly no Diamond Firetails here today) and ducks, grebes and plovers. Next stop was Cyanide Dam at Honeyeater Picnic Area in the Chiltern/Mt Pilot National Park. Here the most surprising sighting was a White-bellied Cuckoo-shrike. He must have forgotten to migrate. Every time I heard a Red Wattlebird, I had a good look, as a Regent Honeyeater had been reported to be consorting amongst them and imitating them. Yellow-tufted Honeyeaters were as gorgeous as ever and there were lots of Fuscous Honeyeaters too. One bird kept saying 'tickety-boo.' I hadn't heard that call before. It was one aberrant Fuscous. The others were all making their usual rollicking call. A Wedge-tailed Eagle soared overhead as I admired the Fuscous Honeyeaters. 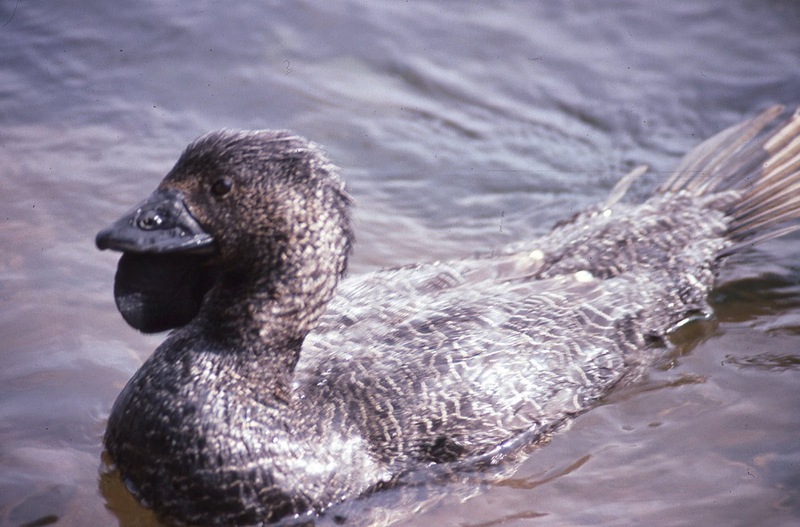 I did manage White-naped and Black-chinned, but not much else. We came home to Melbourne on Thursday, with a trip list of 63. I was surprised that I had seen more birds in a three day trip to Port Fairy than a three day trip to Rutherglen (and Chiltern). In summer I expect 80 birds a day around Rutherglen. Now I am preparing to go to Swansea and hoping (again!) for my Slender-billed Prion. Fingers crossed.